Scrappingclearly Scrapbooking and Papercrafts: Incorporating photos into Art Journal Pages. 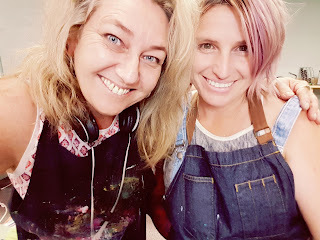 Howdy Bloggers, Lisa here with a mixed media Friday update. Today is day 60 of the #100daysproject. 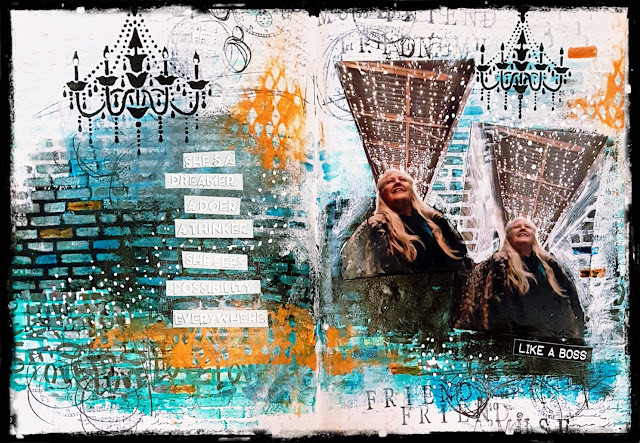 by incorporating photos within my pages as focal points. 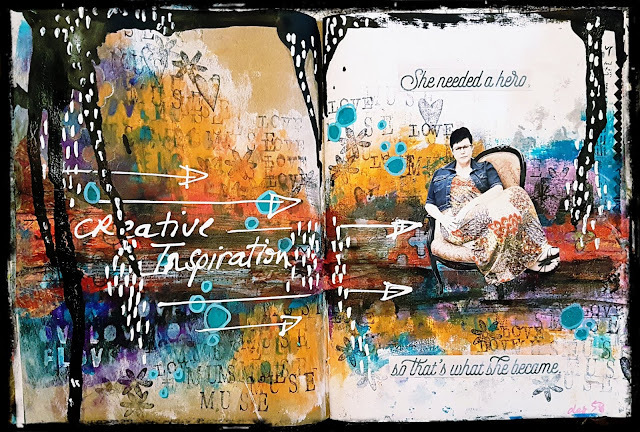 I am loving the look and the connection it adds to my pages and my journaling opportunities. 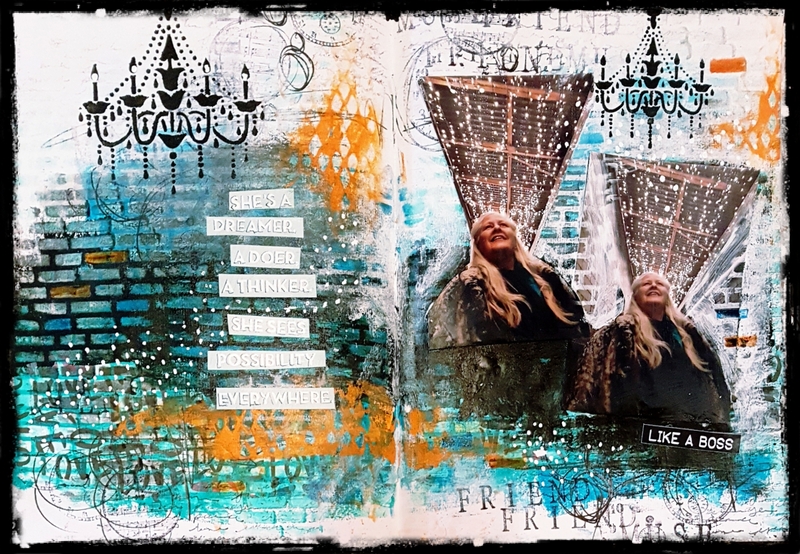 As an almost retired scrapbooker, getting a photo in to my Art Journal pages is a serious bonus. 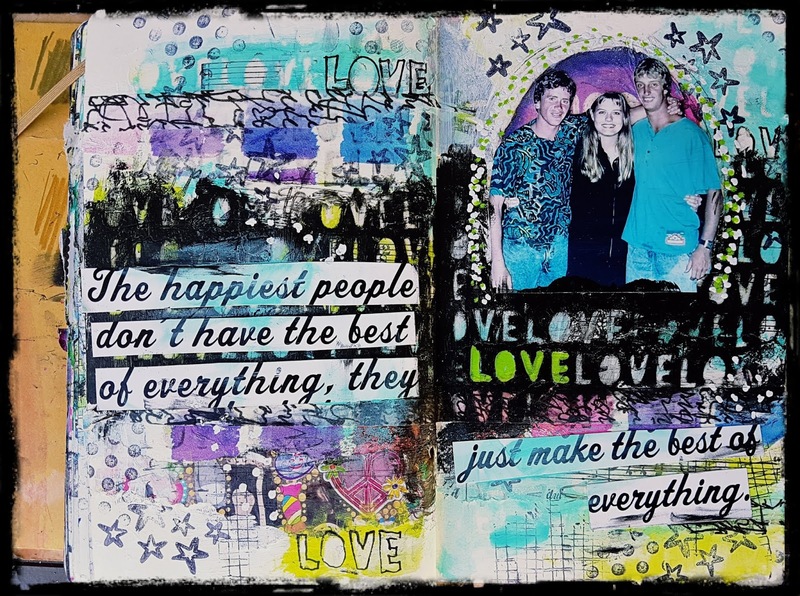 Here are a few pieces created where photos are my focus. Arty man Jase, and the wonderful SC heartbeat that is Kylie Tout.